We have developed a “motion microscope” to visualize small motions by synthesizing a video with the desired motions amplified. The project began as an algorithm to amplify small color changes in videos, allowing color changes from blood flow to be visualized. Modifications to this algorithm allow small motions to be amplified in a video. I’ll describe the algorithms, and show color-magnified videos of adults and babies, and motion-magnified videos of throats, pipes, cars, smoke, and pregnant bellies. These algorithms are being used in biological, civil, and mechanical engineering applications. Having this tool led us to explore other vision problems involving tiny motions. I’ll describe recent work in analyzing fluid flow and depth by exploiting small motions in video or stereo video sequences caused by refraction of turbulent air flow (joint work with the authors below and Tianfan Xue, Anat Levin, and Hossein Mobahi). We have also developed a “visual microphone” to record sounds by watching objects, like a bag of chips, vibrate (joint with the authors below and Abe Davis and Gautam Mysore). Collaborators: Michael Rubinstein, Neal Wadhwa, and co-PI Fredo Durand. 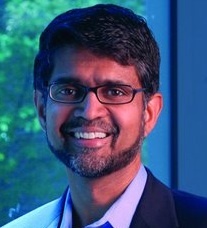 William T. Freeman is Professor and Associate Department Head of Electrical Engineering and Computer Science at MIT, and a member of the Computer Science and Artificial Intelligence Laboratory (CSAIL) there. His current research interests include machine learning applied to computer vision, Bayesian models of visual perception, and computational photography. 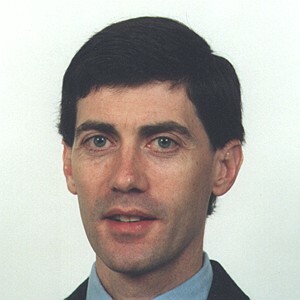 He received outstanding paper awards at computer vision or machine learning conferences in 1997, 2006, 2009 and 2012, and test-of-time awards for papers from 1990 and 1995. Previous research topics include steerable filters and pyramids, orientation histograms, the generic viewpoint assumption, color constancy, computer vision for computer games, and belief propagation in networks with loops. Emerging real-world graph problems include: detecting community structure in large social networks; improving the resilience of the electric power grid; and detecting and preventing disease in human populations. Unlike traditional applications in computational science and engineering, solving these problems at scale often raises new challenges because of the sparsity and lack of locality in the data, the need for additional research on scalable algorithms and development of frameworks for solving these problems on high performance computers, and the need for improved models that also capture the noise and bias inherent in the torrential data streams. In this talk, the speaker will discuss the opportunities and challenges in massive data-intensive computing for applications in computational science and engineering. David A. Bader is a full professor and chair of the School of Computational Science and Engineering, College of Computing at Georgia Institute of Technology and Executive Director of High Performance Computing. His research is supported through highly-competitive research awards, primarily from NSF, NIH, DARPA, and DOE, and his main areas of research are in parallel algorithms, combinatorial optimization, massive-scale social networks, and computational biology and genomics. He received his Ph.D. from The University of Maryland, is a Fellow of the IEEE and AAAS, a National Science Foundation CAREER Award recipient, and has received numerous industrial awards from IBM, NVIDIA, Intel, Cray, Oracle/Sun Microsystems, and Microsoft Research. He serves as a board member of the Computing Research Association (CRA), on the NSF Advisory Committee on Cyberinfrastructure, on the Council on Competitiveness High Performance Computing Advisory Committee, on the IEEE Computer Society Board of Governors, and on the Steering Committees of the IPDPS and HiPC conferences and is the editor-in-chief of IEEE Transactions on Parallel and Distributed Systems (TPDS). Dr. Bader is a leading expert on multicore, manycore, and multithreaded computing for data-intensive applications such as those in massive-scale graph analytics and has co-authored over 130 articles in peer-reviewed journals and conferences. The perpetual elusiveness of correct-by-design software fosters the need of techniques to “find and fix” software deficiencies whether they arise from design, operational or deliberate instances. With the intent of post-design software fixes, the talk ruminates on the fun, value and science of experimental techniques to “kick n’ fix” software. Dr. Leslie F. Greengard is an American mathematician, physician and computer scientist. He is co-inventor of the fast multipole method (FMM) in 1987, recognized as one of the top-ten algorithms of the 20th century by the Institute of Electrical and Electronics Engineers. Greengard holds an M.D. and Ph.D. in computer science from Yale University and has been on the faculty of the Courant Institute of Mathematical Sciences at New York University since 1989, where he is professor of mathematics and computer science. From 2006 to 2011, Greengard served as director of Courant. He is a member of both the National Academy of Sciences and the National Academy of Engineering, and is the founding director of the Simons Center for Data Analysis. This Center is committed to analyzing large-scale, rich data sets and to developing innovative mathematical methods to examine such data. Speaker: Thomas W. Reps, Computer Sciences Department, University of Wisconsin-Madison, and GrammaTech, Inc.
finite-sized descriptors that represent collections of states. However, there is a glitch: abstract interpretation has a well-deserved reputation of being a kind of “black art”, and consequently difficult to work with. This talk will describe a twenty-year quest to address this issue by raising the level of automation in abstract interpretation. I will present several different approaches to creating correct-by-construction analyzers. Somewhat surprisingly, this research has recently allowed us to establish connections between our problem and several other areas of computer science, including machine learning, knowledge compilation, data integration, and constraint programming. Thomas Reps is the J. Barkley Rosser Professor of Computer Science and holds the Rajiv and Ritu Batra Chair at the University of Wisconsin. He has worked on many aspects of automated program analysis and is co-founder and president of GrammaTech, a leading developer of software-assurance and software security tools.